Digital signature made simple, secure and easy. Making the signing process easy and fast for smaller screens. 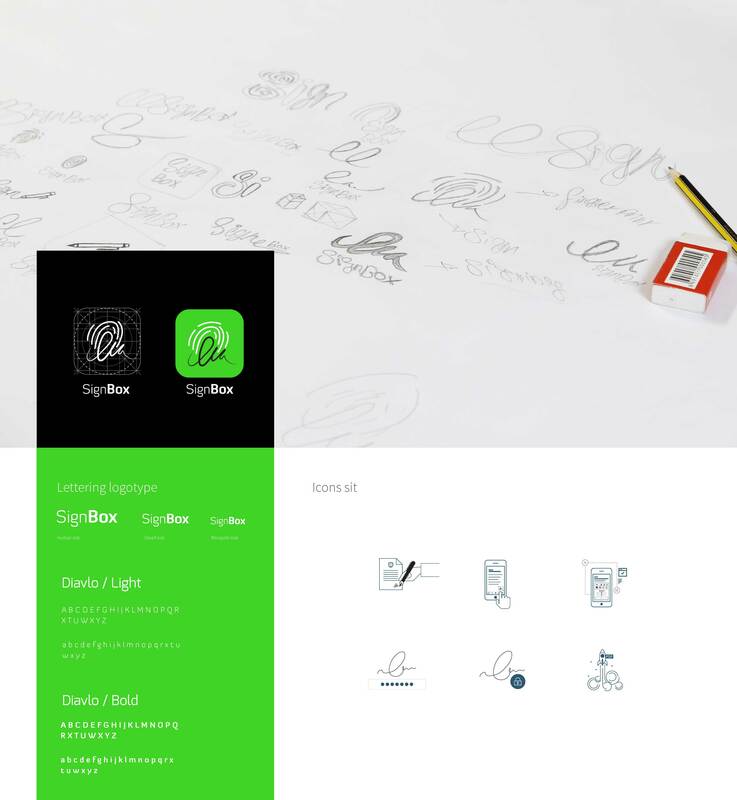 The application helps users create and save signatures to use on soft copies (PDF) through Dropbox. The app security was a major feature we had to cover and provide solutions for using touch ID on the iPhones. Security, was the biggest challenge for us. We wanted to keep the signature secure on the device itself and on the recipient device. We found the most suitable solution which was to only access the signature by the user's Touch ID or passcode. Plus, the signature will not be stored on any cloud. So the signature remains on the user's device. We chose the color green to match the brand personality which says growth and vitality, self-reliance, reliability, and dependability. The formality of the brand was taken in consideration in every detail of the design and the copy. To measure the size of the application we sat around to collect and prioritize the application features. Some features were definitional we couldn’t work without them some were added value for the user’s. These user stories have put us on the write path to start sketching an extremely enjoyable experience. The users are always unpredictable but since we wanted to create an unforgettable experience, we created a detailed, consistent and clear user flow that simulates the user behaviour when using the app. The user flow will guide the designers and developer through specific information and user journeys. Organising, structure, and labeling content in an effective and sustainable way. Our goal was to help the users find the information and complete tasks in an easy, simple and intuitive way. We started working on the wireframe and creating the interactions that add value for the users. Using the new features of iOS 8 new feature on opening a third party application while using on application, we wanted the users to benefit from this features. We created the extension to be used on other applications. Signbox was designed and built with privacy and security in mind. We aimed for convenient and subtlety and exceeded that, giving a better enjoyable experience. We also interpreted the uniqueness and reliability of the brand in the user interface that gives delight and smooth feel for the users.